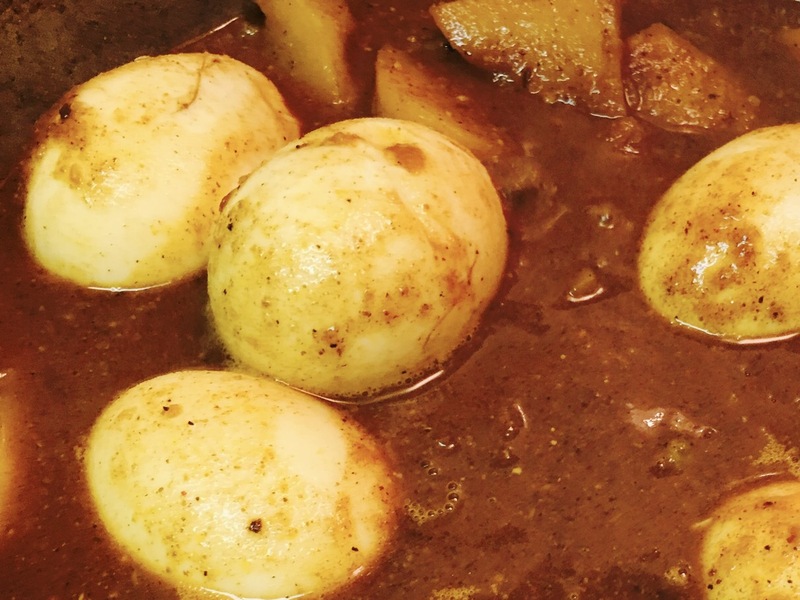 Egg and potato curry – Hurried Home Chef! This is a good dish for your ‘vegetarian’ guests, I will make this for a family gathering since there will be a variety of people and diets. First you need to boil the eggs. I like to add them into the cold water, then heat the water, once at a gentle boil, cook for 6 minutes, then turn off the heat and cover for 10 minutes. Then pour out water and let them cool a bit. Peel them carefully, if they are breaking a lot, let them cool more and try under running water. 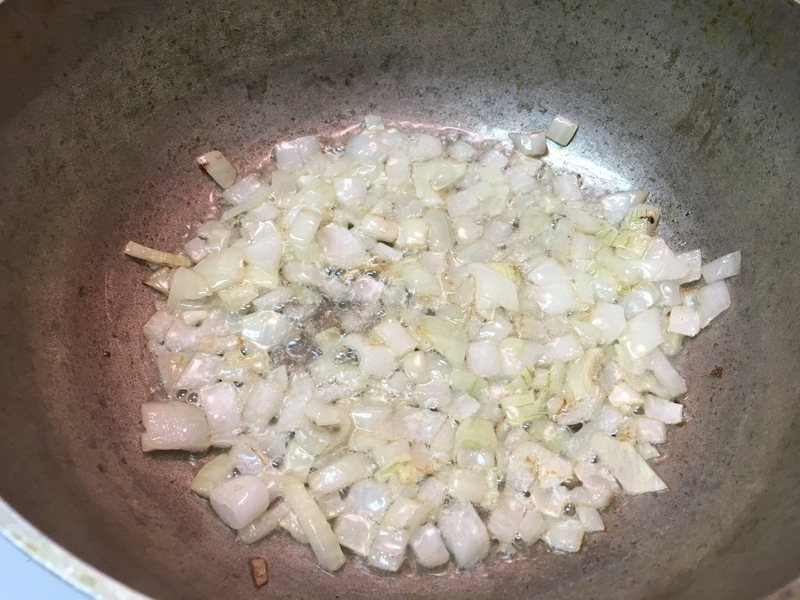 In a cast iron or a nonstick pot, sauté onions in oil. 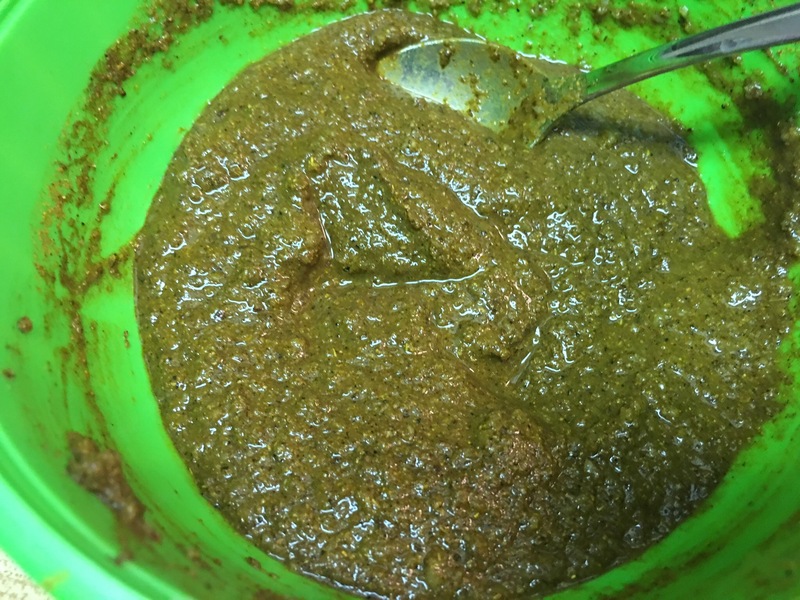 Make a curry paste, this will be a bit milder than if you are cooking meat. 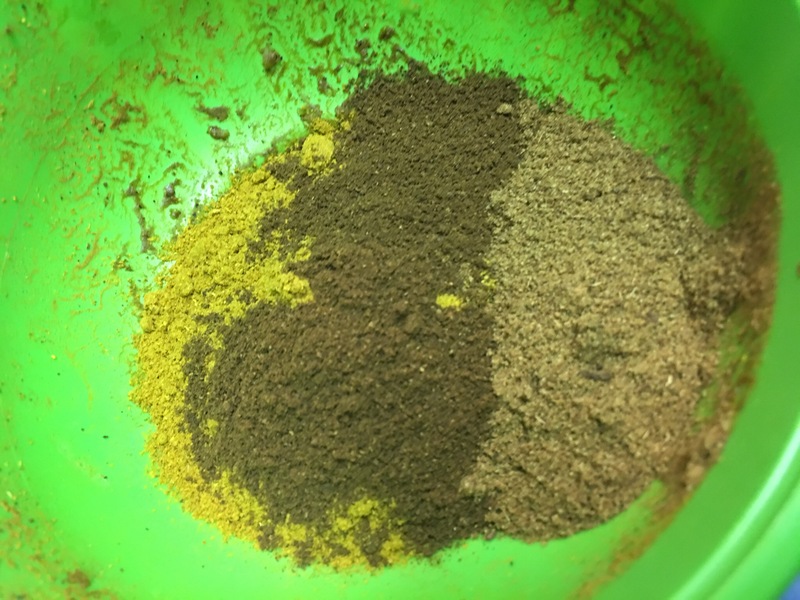 Here I have curry powder, masala, and cumin. Make a paste using water, add to onions and sauté for a bit. 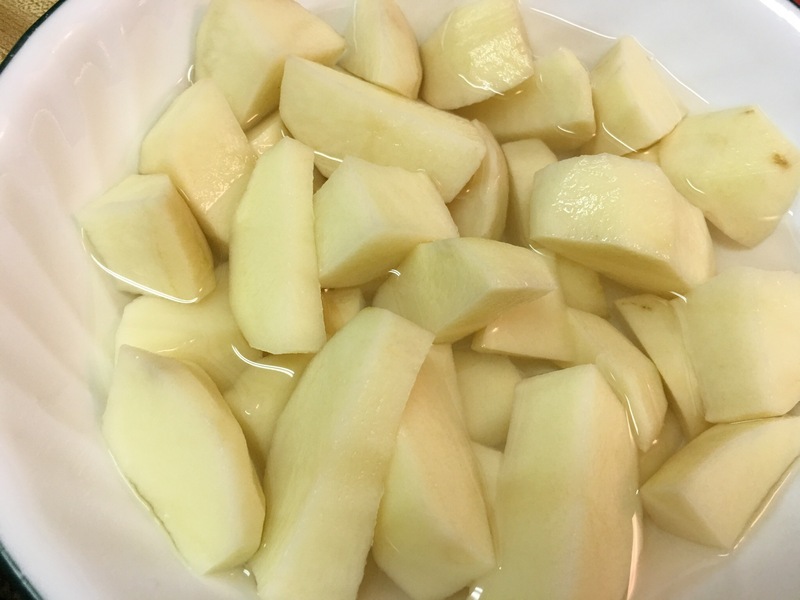 Peel and dice some potatoes, add to the pot with a few tablespoons of water. On medium high heat, let the potatoes cook, covered, add boiling water as needed to keep them from sticking. 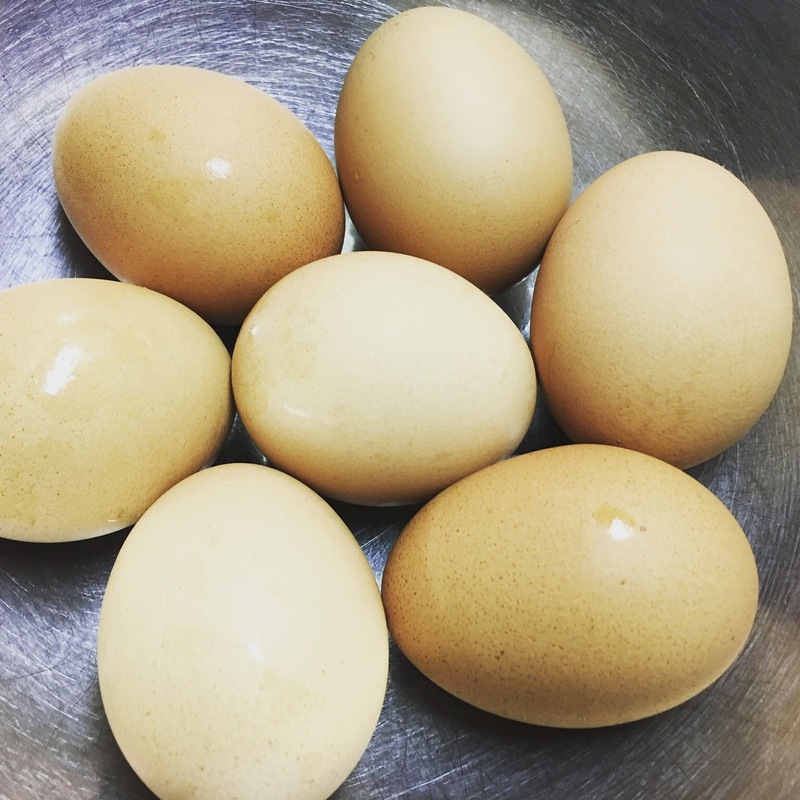 Once the potatoes are fully cooked, in a frying pan, add some oil and sauté the boiled eggs to get a little crisp on them, then add to the curry pot, stir around and as your last step, add some chopped green onions (I keep these chopped and in the freezer). Today we skipped the extra frying of the egg step to save time and calories, but that is the traditional way to do it. It adds texture, but also fat. It’s a milder curry, does not require as much spicing as meat does.